Amazon has pushed an update to its iOS app, enabling a new feature called Flow. 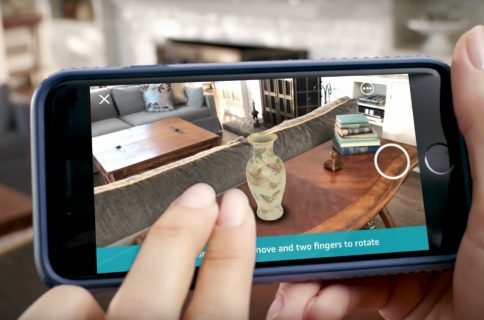 The feature allows users to search for items on the website by simply scanning them in the app using their iPhone’s camera. Need a stapler? Just point your iPhone at one. 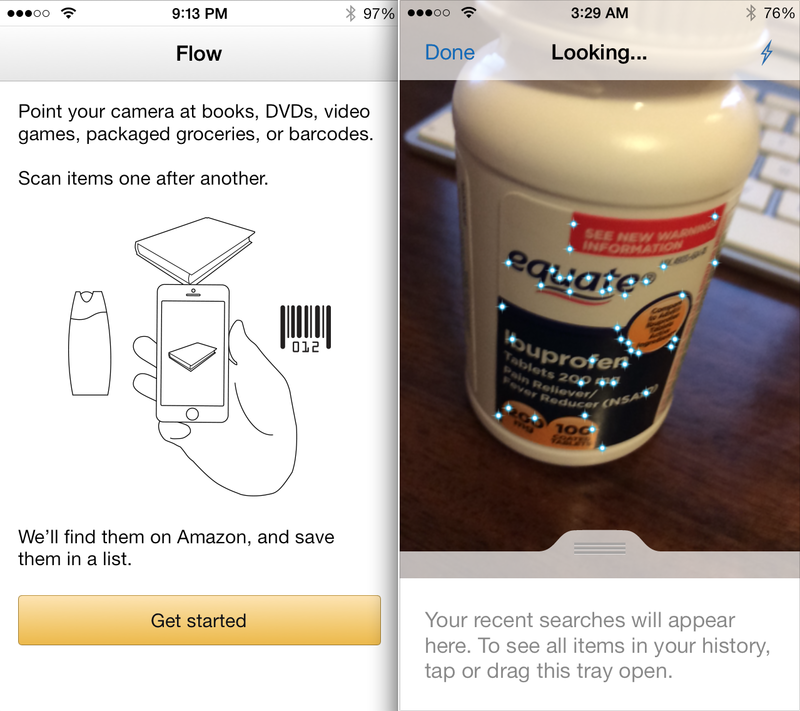 – Flow is a new way to search for multiple products at the same time using your iPhone camera. Flow works best with packaged groceries, books, DVDs, and video games. Available for iOS7 only. Interestingly enough, the App Store says this update posted back in January, but Amazon seems to only just now be promoting the new feature. I also noticed that for the first time tonight, launching the Amazon app triggers a popup box explaining Flow. At first the whole process seems magical. Your standard camera-scanning window pops up and you’re asked to center the objects you wish to scan in the frame while tiny glowing dots bounce about. Then you realize it’s not working, and the magic disappears. Admittedly, I don’t have many physical books or DVDs lying around to give Flow a fair shot, but I couldn’t get it to recognize a single object in the mix of grocery/office items I tried scanning. I really like the concept, the tech is just obviously still very new. At any rate, if you want to play with Amazon’s new Flow feature, you can find the Amazon app in the App Store, for free.